The PBC on Spike delivered a solid card from the Seminole Hard Rock Casino headlined by Barthelemy vs Bey. An eager crowd witnessed action-filled fights and hopefully boxing makes South Florida a regular location of business. Here are the televised results from an exciting night in Hollywood, Florida. 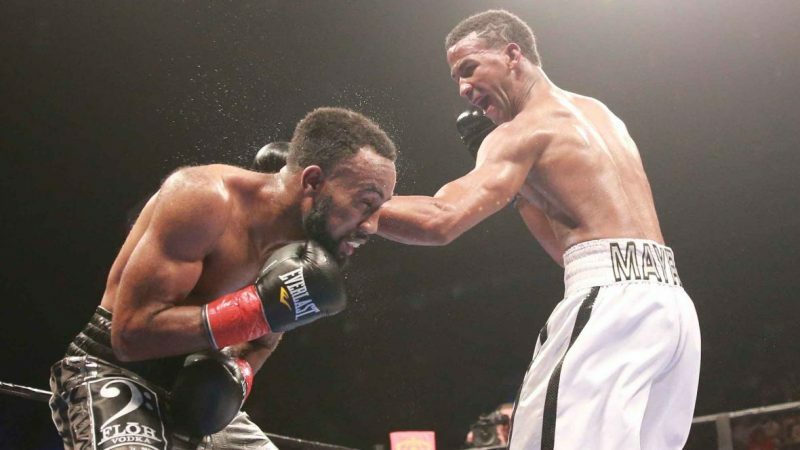 Rances Barthelemy was “knocked down” in the second round with a headbutt to the temple but it didn’t prevent the unbeaten Cuban from retaining his IBF Lightweight title pulling out a split decision victory over Mayweather Promotions’ Mickey Bey in an entertaining lightweight bout which had the crowd standing in anticipation as the results were read. Emmanuel ‘Manny’ Rodriguez got a solid win outpointing Alberto Guevara over 10 rounds in the Spike’s TV co-feature fight. The fight lacked sustained action but the young prospect from Vega Baja, Puerto Rico established himself early in the fight with some hard shots but backed off with aggressive attacks once he figured his Mexican opponent wasn’t going anywhere. Rodriguez easily out boxed Guevara to win the decision 100-90 (twice) and 99-91. Caleb Plant (13-0) kept his unbeaten record intact with a 4th round KO of Colombia’s Carlos Galvan in their Spike TV-Televised bout. Plant boxed early looking for an opening against the aggressive Colombian and it was a single left hook to the solar plexus that put the Colombian down for good at 1:24 of the 4th.